Despite the blood red moon today, it’s cold. Strange though, it was quite mild when Benji and I were out early (05:00 – early) because I wanted to see the blood moon – freaky.. So we decided to go for our walk since we were out anyway. As I said it was really quite mild but as the morning progressed it got colder. I was forced at 8:30 to put the heater on. Benji catching some rays from the winter sun. Although today was slightly unusual as generally it has been cold all night and through into the morning. 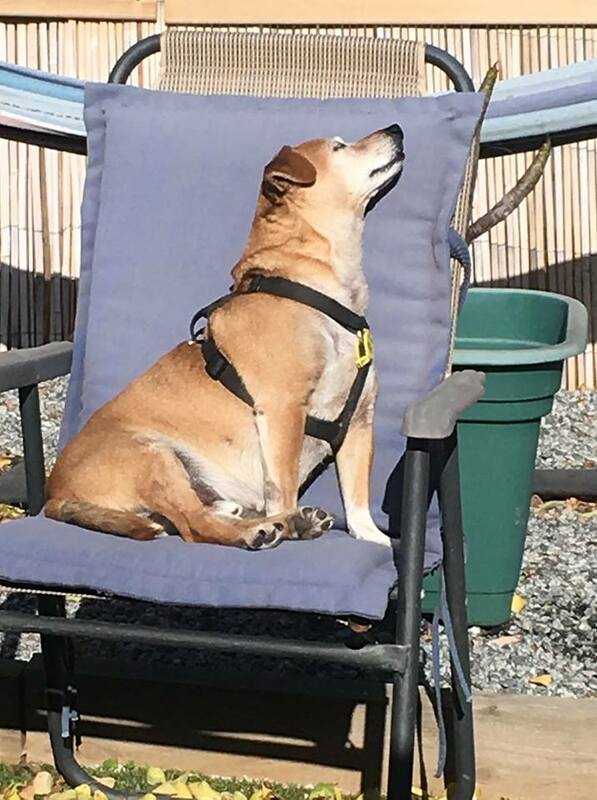 The days have been mild, so much so that Benji took up residence on one of the outdoor chairs and sat facing the sun and lifting his head so the warmth could get to his chest. It looked strange, but he sat that was for quite a bit. We had a morning out at the lighthouse and then on Wednesday we drove through to the Port and spent the morning there. 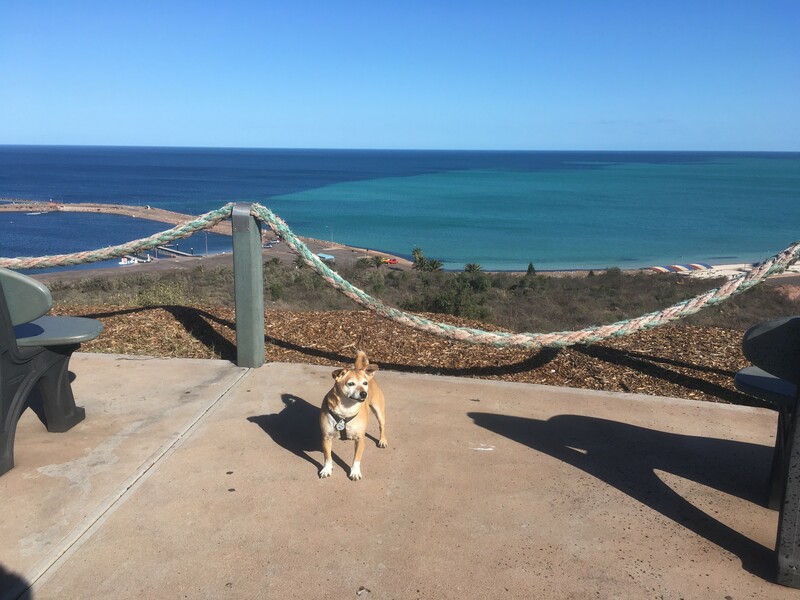 No Arid Lands Botanic Garden (ALBG) because dogs are not allowed in the area, well, in the carpark is the limit, and since the carpark is a fair bit away from the shop and the nursery, I wont leave him in the car for that length of time. If it is my intention to go to the ALBG then I will not take Benji with me. I think I did mention that my niece has come back to town. Anyway I picked her up yesterday and took her to the airport to catch a flight to Adelaide. She asked me to look after and feed her cat, a black and white cat called Felix. I agreed to do this. It’s been great fun – and I have the blood on my ankles to prove it. The thing attacks me from under the table and I am so glad I was wearing a track suit and not just trousers, otherwise there might have been more blood. It’s like walking into a room with a snake there – it hisses. Generally I have no problems with cats, but this is one oddball animal. blame someone else. In the meantime the roads are partly closed. 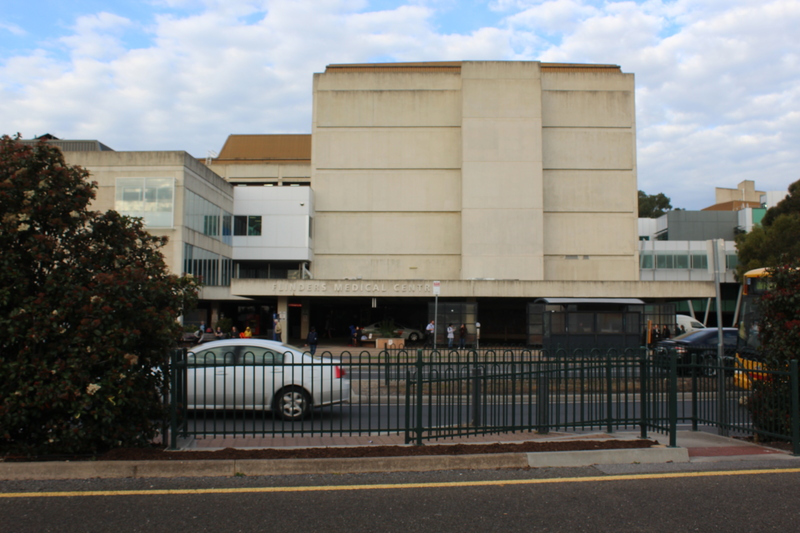 Flinders Medical Centre. He is very casual about it, which I suppose is a good thing, but it seems to me that having a cancerous liver removed is not casual thing – but then, perhaps that’s just me. I don’t mean that you should make yourself ill by worrying but I just think it requires a little more “respect”. I have lost several posts. I contacted the people concerned and they tell me that I am still with them and they are still sending to me, but I am not getting anything. Of all the UK posts I only have one remaining. My computer guru ( No. 1 Son) has gone thought my Outlook Express account and can find no changes, so I don’t know what’s happening. Looks like Benji’s got the right idea about enjoying the sunshine. What an adorable picture! No, I don’t blame her. For a dog person I generally get along with cats, but not this one, and it does this thing that cats can do – hit multiple times in quick succession.